With Order Desk, you can connect to any Fulfillment by Amazon region to send your orders to FBA for fulfillment. 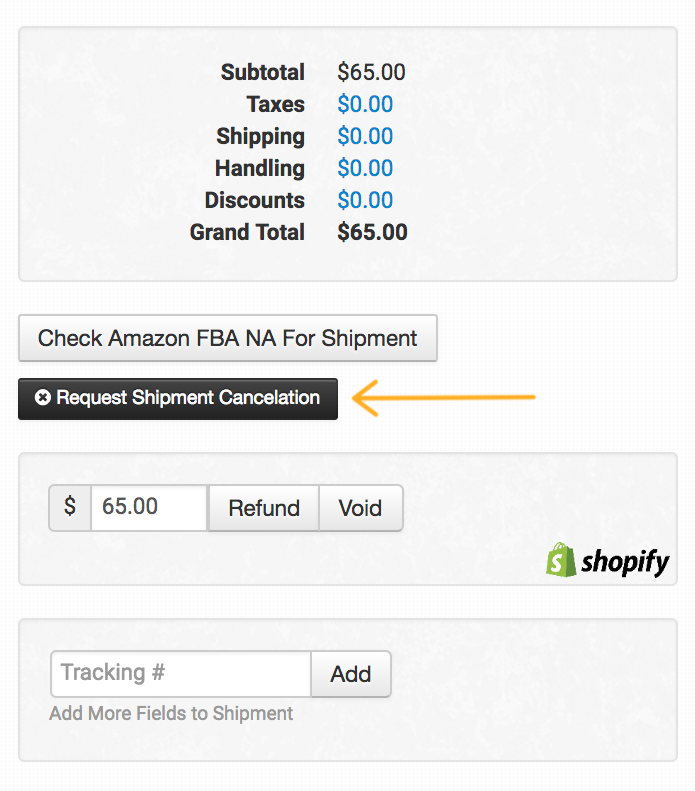 This guide will go cover how to cancel orders that were sent to FBA and how to make removal requests. Amazon will attempt to cancel the order. In some cases, it may have already shipped or be too far along within their own system to stop it. Follow up in your Amazon account if you are unclear on the status of the order after requesting shipment cancelation. For more information on working with canceled orders in Order Desk, please see this guide. Create an order in Order Desk for any products you want returned to you. 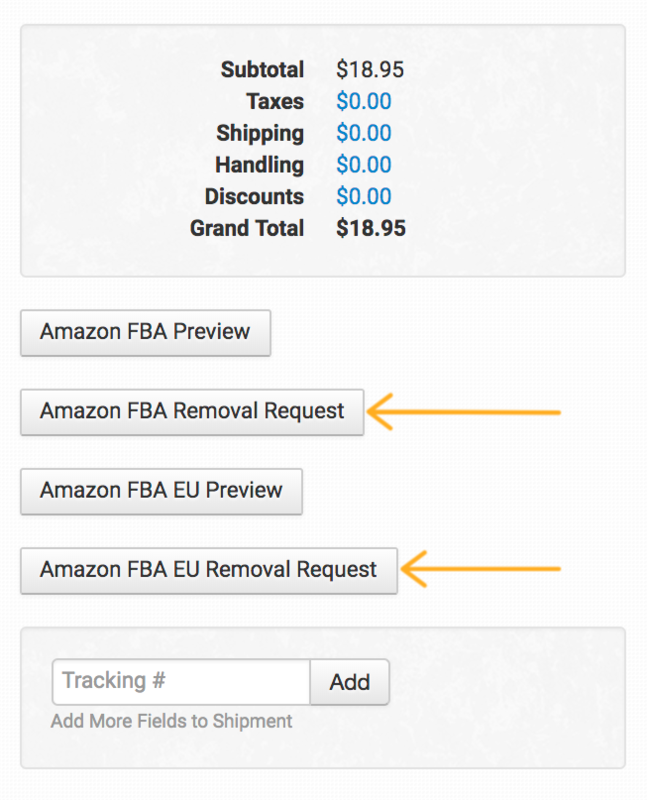 On the order details page, click the Amazon FBA Removal Request button. This queues up the process, and Order Desk will send the feed with the removal request to Amazon. After a few minutes, the app will check to see if the request was successful or not. If so, the order will be moved to the folder specified in the After Submit, Move To setting in the FBA integration. If it was not successful, the store admin will receive an email with further details. Removal requests must include the phone number of the recipient. Make sure the shipping address has a phone number before submitting. For more information, please see Amazon's removal request overview. Order Desk will check the tracking info for these shipments once a day. If a tracking number is found, it will be added to the removal request order like a regular order. If your SKUs end with -REFURB or start with REFURB- these will be stripped out of the SKU before being sent to Amazon. If you have a specific SKU that you would like to send rather than the value found in the item code field of your product, you can set a variation or metadata value of FBARemovalSku: Be sure to sync this into your order. For instructions on order syncing, please read this guide. By default, unsellable inventory will be removed in the amount of the quantity for the item in the order. If you need to customize this, set a variation or metadata field called UnsellableQuantity. Click through to the next guide in the FBA series: Limitations and Special Features.